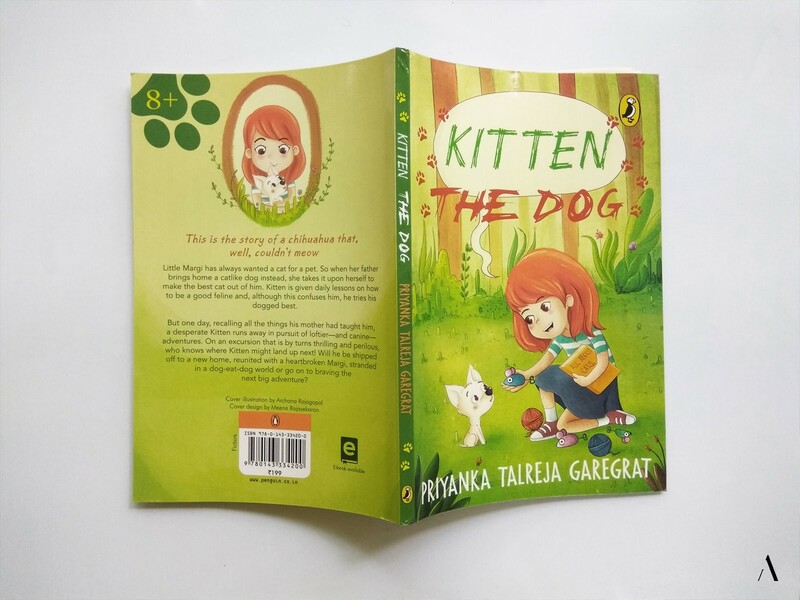 Children’s book – Kitten the Dog – Archana & Co.
Way back when I still worked at a 9-5 job (still as an artist creating children’s content), Priyanka was my Editor and manager. She told me about her exciting secret news back then (she was writing a children’s story book and was looking for publishers) and I was so excited for her! Here was a person actually doing what I’ve always wanted to do myself! We were both excited, but neither of us knew back then that we’d team up one day. We both subsequently moved on to different pursuits, and I had my hands full, learning the ins and outs of the freelance life. Fast forward 6 months, and Priyanka called me one day to let me know that I absolutely have to illustrate her book, and that oh, by the way, Penguin Random House had picked up the book! I was in total shock for a couple of minutes, sure that I had misheard the “you-must-illustrate-it” bit, and of course, overjoyed for Priyanka. 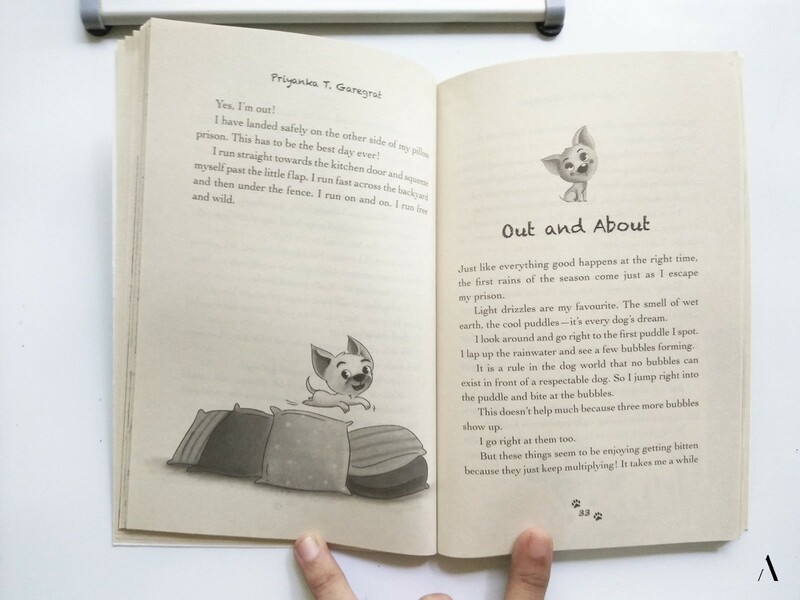 When she told me the name, “Kitten the Dog”, and summarized it for me – (The book is about a little girl who wants a cat for a pet, but ends up with a Chihuahua instead. 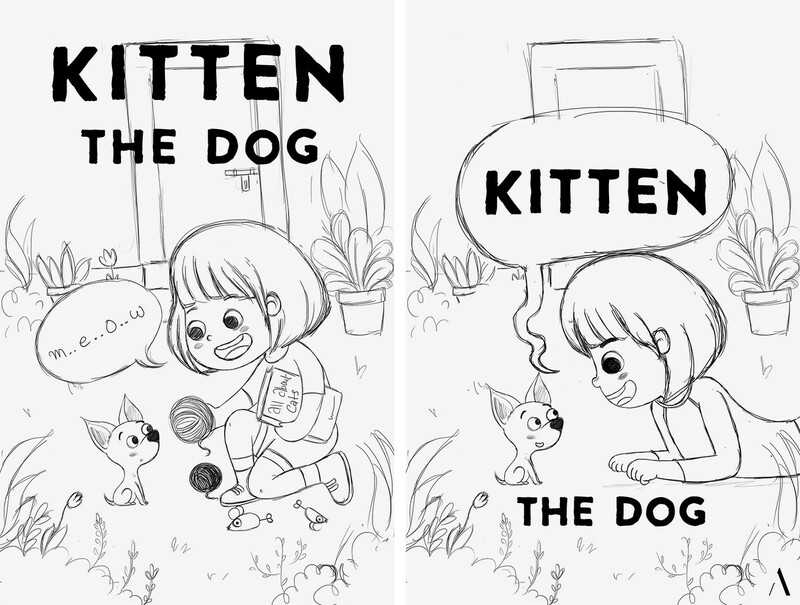 She tries very hard to train “Kitten” to be the cat she wanted, and he in turns tries his best as well, as only a puppy can), the first thing I wanted to do was to read it, the illustration gig could wait. But Priyanka asked me to call her liaison at Penguin right away, and send them some work samples. They loved what they saw, and I was on the Kitten the Dog team. I could hardly believe it. 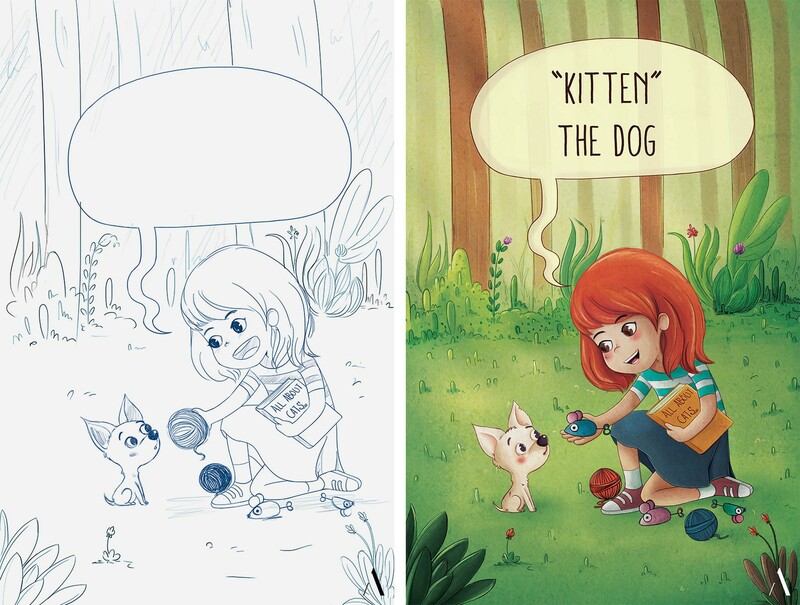 My second Children’s book already! And with Penguin, no less! (I’ll update with details on the first in another post). Soon, we began working on Kitten the Dog, after a very detailed brief from Priyanka and Meena (our Penguin liaison). Priyanka and I had a history of working well together – she was always good at expressing what she needed, while leaving room for me to be creative. Meena was a darling to work with as well, always giving me quick and clear feedback. 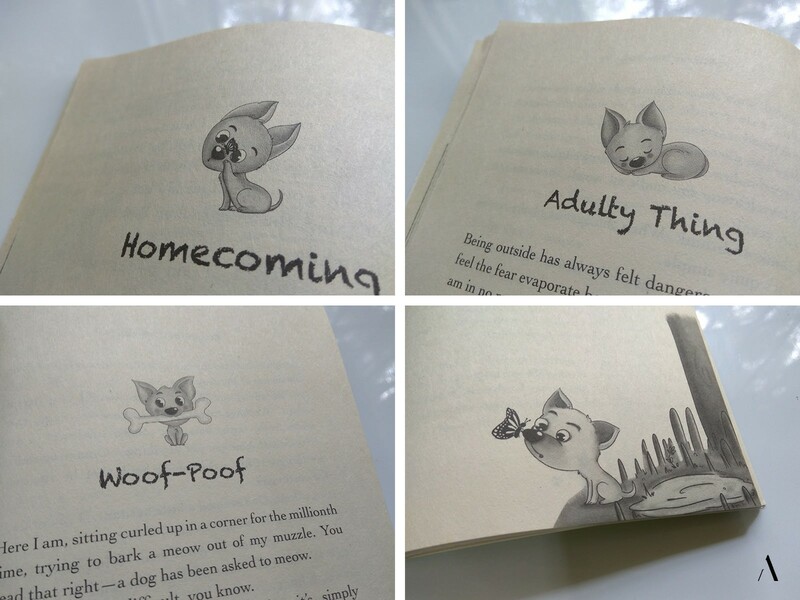 Now I don’t want to give away everything from the book, but here are some of the illustrations from inside the book. Did I mention that I also made some dingbats for the book? This was the first time I drew dingbats, and boy did I love drawing Kitten in these poses! So tiny and cute!! When Priyanka first told me she was writing the book, and that it was going to be a picture book, I was super excited for her, but it never crossed my mind that I’d be the one illustrating it. Needless to say, I was thrilled to be a part of team “Kitten the dog”. It’s a sweet little book that you should definitely read. And when you do, I’d love to hear what you think about it.